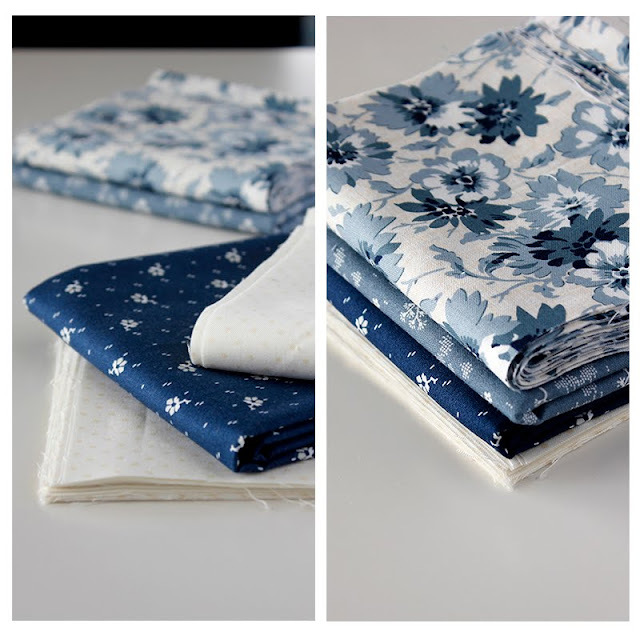 Over the past few weeks I've had the chance to sew with a new fabric line from Penny Rose fabrics, called Faded Memories. It's designed by Gerri Robinson (Planted Seed Designs). The line has a mix of pretty, deep reds and blues (see all of the prints here). For my project I wanted to keep things simple - and classic. So I chose to use just a few of the blue prints from the line, and what's more classic than a good ol' Irish Chain quilt? The navy in this line is such a great navy color - it's not a black-navy, and not a purple-navy. It's just...navy! And the lighter blue color is lovely - almost a cornflower blue. 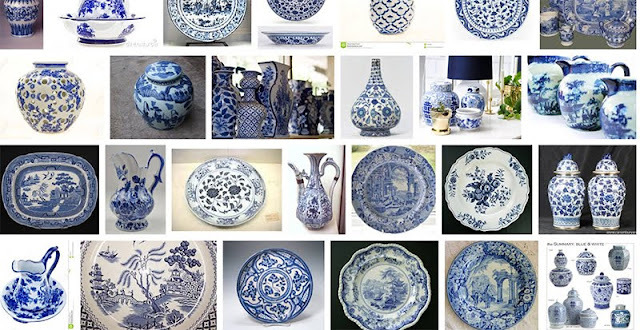 See that blue floral border print? I chose it because it reminded me of the pretty blue and white pottery (like this) that my mother-in-law used to have displayed in her home years ago. You can make all of the nine patches from one print like I did here, or you could make it scrappy like in this red & white version. The finished quilt measures 56" x 68" (throw size). 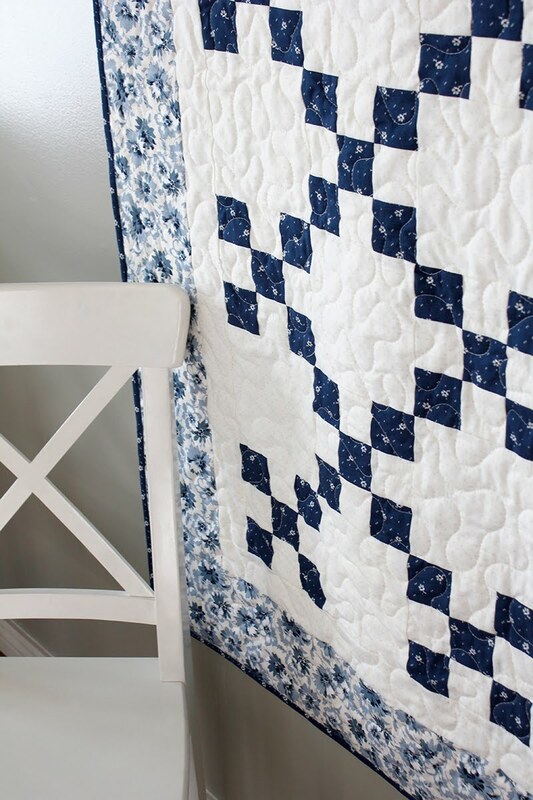 Make sure you go here and grab the free downloadable PDF pattern for this quilt! 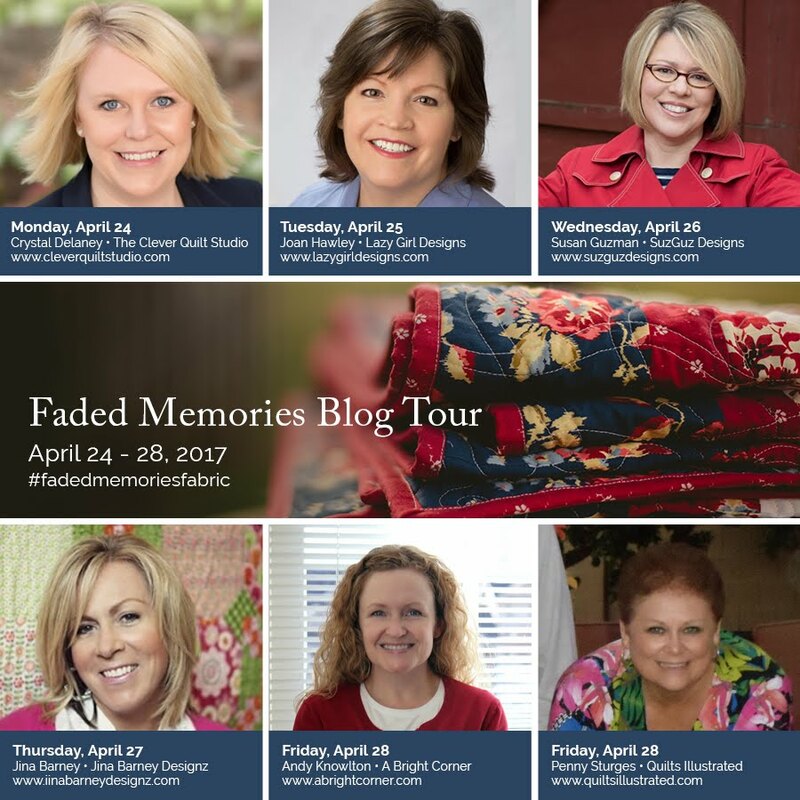 You can see all of the other projects made with the Faded Memories fabrics at the links below, and Faded Memories is available now in stores! 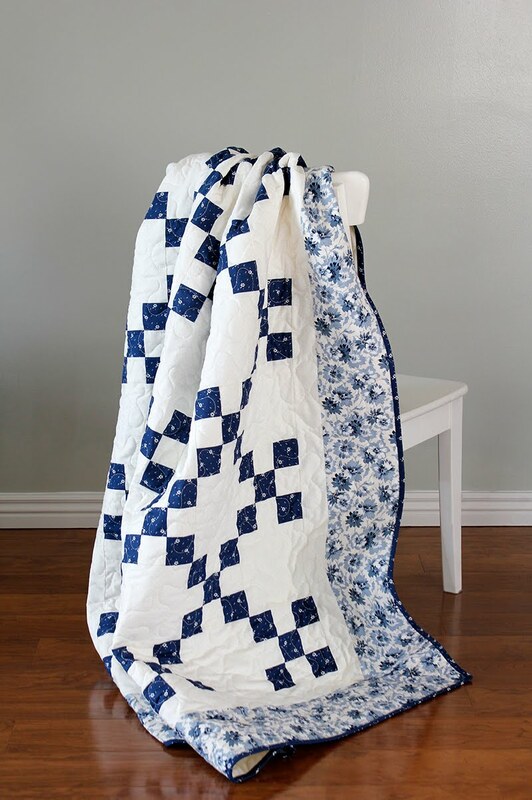 Thank you for sharing such a lovely and simple quilt design. I especially loved seeing the two colour ways, the red and blue! But of course being addicted to the colour blue I alway's tend to pick blue quilts. 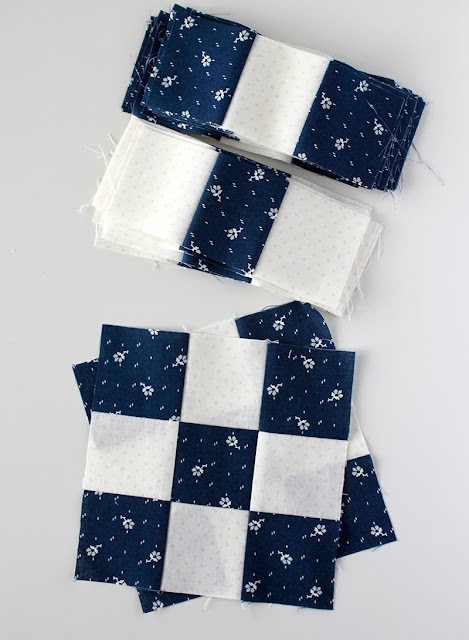 At this point in time I am making a blue and cream & blue tonal hexagon quilt and a blue and white sampler all are going to be either extra large queen or king sized quilts. So I truly do love blue colour quilts!!! Many thanks again. Julie Beard Adelaide Australia. 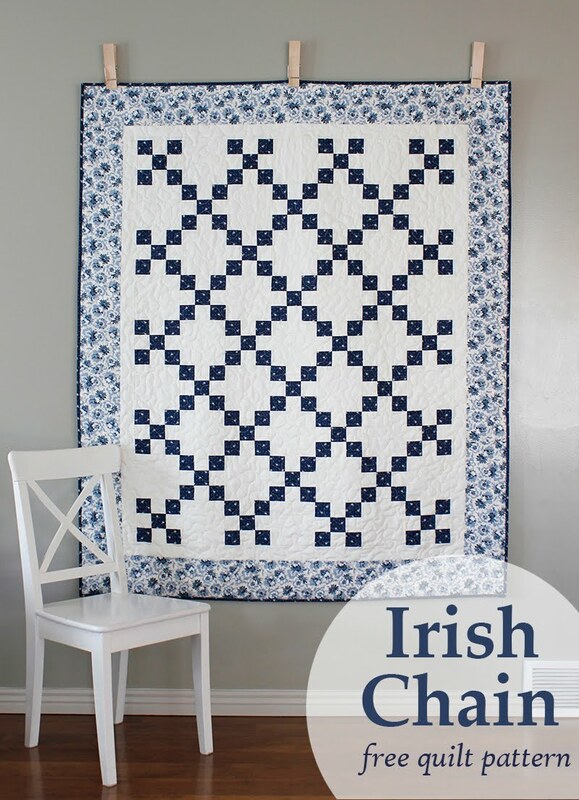 Gorgeous blue & white fabrics and a great free Irish chain pattern. Double thanks! So beautiful.Love your fabric combo!! What a lovely quilt, Andy! Thank you so much for this beautiful pattern, I am looking forward to making it. I love 2 color quilts! I am looking forward to making this for myself. I usually give my quilts away but I think I will keep this one because it looks so fresh and clean, thanks for sharing your pattern with us. Thanks for posting this! Really wanting to make this soon! Thank You for sharing! This quilt is amazing and I have found the exact fabric colors you have used with the exception of the cream colored one with polka dots, do you remember what line of fabric or print that was?